Day Trading strategies. Stock Trading & Futures Trading software. How to Day Trade. For over 10 years, we've been turning regular folks like you into skilled, educated traders. From start to finish, we provide full support for all skill levels, including new traders. Our goal is to make you consistently successful. We will personally teach you how to day trade using our time-tested secrets and day trading rules. Are you ready to learn? We do not offer a trading room. We do not use complex indicators or advanced math. We do not use feelings or trade emotionally. Instead, we will teach you how to find exact patterns in the market and trade based on concrete rules. We want YOU to be independently successful. Most traders fail because they don't have a plan. They will look at a chart and fail to see trades that we see. Don't be one of those guys. It's your money on the line. Trading is a serious investment and you need to be prepared. Join us and become the winning trader you were meant to be! Completely new to trading? Get our FREE Get Started Trading Guide. Want to jump ahead to one of our powerful strategies? The best course we offer is our 8-Week Mentorship Program. See all of our trading courses. The Mentorship Program is the best option if you want a major advantage. It includes all of our courses and software with lifetime licenses, plus eight weeks of live training. 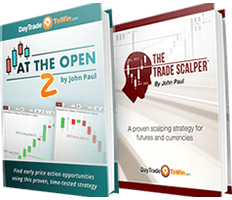 If you prefer starting off with one strategy instead, we have three to choose from: the Atlas Line®, Trade Scalper, or ATO (At the Open). Each one comes with live training, email support, and remote installation assistance in case you need the extra help. See below for details. Empower yourself to trade for a living with the knowledge from this personal coaching program. Learn from an experienced trading coach during eight weeks of training. All of our courses and software are included. Each training session is recorded for future reference. All courses, software and products incl. Know the "how" and "when" to enter each trade by using the Atlas Line® software. Extremely easy to use, it provides exact entry prices and serves as a tool for confirming trades. Live training is included. 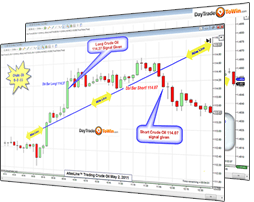 Compatible with NinjaTrader, TradeStation, and eSignal. Tired of poor performance with indicators or technical analysis? 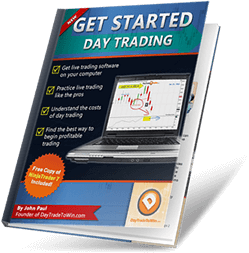 Want day trading methods that actually work? 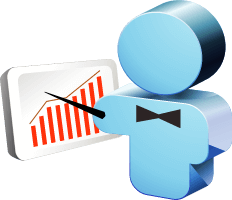 The Trade Scalper and At the Open (ATO) trading courses will provide exactly what you need for the results you want. They are compatible with many market types. Apr. 23, Tue. & Thu., 7 p.m. – 8 p.m.
*8 weeks of live coaching. All courses and software are included. See how we trade live using only price action. No subjectivity. No complex analysis. We show how our products work in real-time conditions. Our FREE real-time trading news calendar will help you trade successfully during volatile news events. 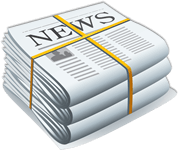 Real-time market news is displayed at the top with upcoming events displayed throughout. Closest events are automatically highlighted. Learn exact trading methods for free. These training videos are one of the quickest ways to improve your trading. Customers – log in and watch your recorded video training sessions for day trading courses and Mentorship.